As I write this, we are in the midst of an unheard-of three-day shutdown of our courthouses in Lauderdale and Clarke Counties for, of all things, ice. That’s right — ice. As in ice on the roads and bridges that makes it hazardous for people not on the main thoroughfares to travel to the courthouse to conduct their business. I don’t know about you, but I don’t recall ever ice and snow sticking around more than 24 hours after its appearance in these parts. You know how it usually goes: snow all night and next morning, and then all gone by afternoon or next morning at the latest. And that only happens once every five years or so. But here we are on Thursday with Monday’s snow still on the ground, and the temperatures expected — finally — to struggle above freezing today for the first time since the beginning of the week. The most tiresome thing about this whole ordeal, in a way, was listening to the smiling faces on tv drone on about how unprepared we in the southland were for the snow and ice, as if this thought had only now occurred to them for the first time in some miraculous medla revelation. Actually, we were unprepared, in the same sense that Minnesota is unprepared for a hurricane. When one experiences a particular calamity only once or so a century, one does not prudently invest money, peoplepower, infrastructure, and planning for such that could be devoted to the more reasonably-anticipated and frequently occurring disasters that usually befall us, like hurricanes, tornadoes, grass fires, hazardous spills on the interstate, and crumbling county roads and bridges. Any Mississippi supervisor who spent funds on snowplows, sand, sand trucks, salt, salt trucks, snow shovels, and other winter storm equipment sufficient to cover his or her county, or even beat, would likely be investigated by the state auditor and indicted by a federal grand jury — or should be. Well, this will all be history by the weekend, we expect, when temperatures will percolate back up into the mid-60’s — as they should in any self-respecting winter. As the snow fell on Mississippi Monday, Pete Seeger slipped quietly out of this life. He was 94 years old. If you grew up in the 50’s and 60’s you will remember that Seeger was an important figure in folk music, which was the sound of that era. He was a member of The Weavers, a quite popular folk group that rivalled other performers like the Kingston Trio, the Limelighters, and the Brothers Four for popularity. Even as mainline folk wained in the public eye, and its music fell out of favor, its influence persisted. It morphed into folk rock and crossover country, and never completely disappeared. Dylan, Simon & Garfunkel, the Byrds, The Mammas & the Pappas, and many others, carried folk DNA in their music. Seeger was not known only for his music. His activism for civil rights, workers rights, and anti-war and environmental issues was legendary. 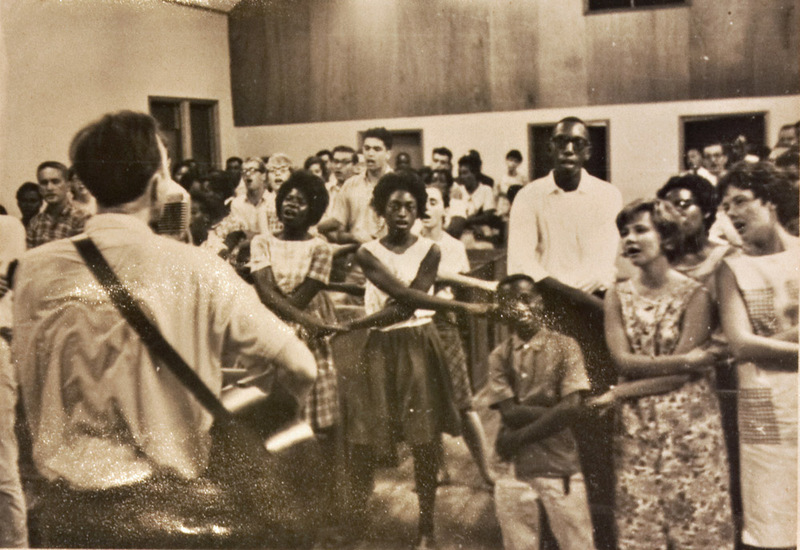 I’ve posted here before that Seeger came to Meridian to perform for and sing with the Freedom Summer volunteers on August 4, 1964. It was he who broke the tragic news to them that the bodies of Mickey Schwerner, James Chaney, and Andy Goodman had been discovered in a dam that very day in Neshoba County. Pete Seeger will live on in his music. Songs like “Where have all the Flowers Gone,” Turn, Turn, Turn,” and “If I had a Hammer,” are part of our musical heritage. Seeger’s politics made him anathema to some. He was a communist in his earlier years, a position he later rejected and even said he regretted. That coupled with his refusal to testify before the HUAC, on the ground of free speech, earned him blacklisting with many media outlets and broadcasting networks. But his steadfast defense of and unwavering advocacy for the poor, the underpaid, the dispossessed, and the downtrodden will be his legacy. « Who has Standing to Appeal? You are currently reading This Week: Snow Daze-d … and Another Icon Passes at The Better Chancery Practice Blog.